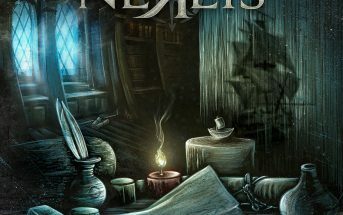 Overdrive (music video) by Nereis, an alternative metal band from Trento, Italy. 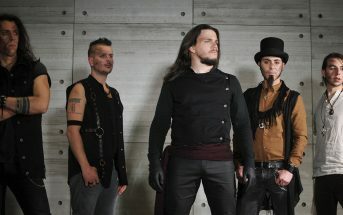 This music video is for the third single from the band’s second full-length album Turning Point which was released worldwide on June 8, 2018. The video was directed by Maurizio Del Piccolo. Album mixed & mastered by Mauro Andreolli at das Ende der Dinge, recorded by Carmelo Giacchino & Fabio Sforza at Nologo Recording Studio, and edited by Marco Ober at Artifact. Turn on CC for lyrics: Reshape reality Push yourself to the limit Press the accelerator crazy move Tear down the wall Overload the mechanism Like there is no tomorrow Extension of your body It makes you feel a god Feel like you can reach the sun This is the only way Be faster than yourself Hey you! Are you ready for insanity Just give it all Be how you used to be You know that you can still win Be cold and act Put your heart into overdrive Touch the line between death and life Live the moment on a higher level Push yourself to the limit Press the accelerator crazy move Tear down the wall Touch the line between death and life Live the moment on a higher level Push yourself to the limit Press the accelerator you should dare Tear down the wall Extension of your body It makes you feel a god Feel like you can reach the sun This is the only way Be faster than yourself Hey you! Are you ready for insanity Just give it all Be how you used to be You know that you can still win Be cold and act Put your heart into overdrive And are you ready for insanity Just give it all Give it all Be how you used to be You know that you can still make it Be cold and act Put your heart into overdrive!